Dell M6400 M6500 M4700 M6600 M4800 M6800. Laptop Hard Drive Cover Caddy. Server Parts & HDD Caddy/Tray. Simply pull out your CD/DVD drive and replace it with our optical bay hard drive caddy. Laptop Keyboard. 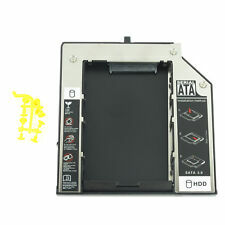 New 2nd SATA HDD Hard Drive Caddy Adapter For IBM Lenovo Thinkpad T430 W530 T530. 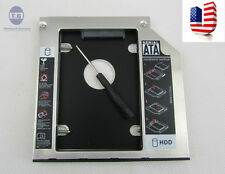 We are committed to the production and sale ofSATA HDD HARD CADDY, but forComputer Motherboards, power panels, a variety of screen lines, power lines and otherA ccessories. HP EliteBook 2530P 2540p 2560p 2740p. We are committed to the production and sale ofSATA HDD HARD CADDY, but forComputer Motherboards, power panels, a variety of screen lines, power lines and otherA ccessories. HP EliteBook 6930p 8440p 8530p 8540p. 2ND Hard Disk Drive HDD caddy/adapter for any uses 12.7mm height DVD drive with SATA connector to the motherboard. It work with SATA hard drive, and SSD (Solid State Drive) as well. Dell Precision M4600 M6400 M6500 M6600 DU30N. Laptop Hard Drive Cover Caddy. Server Parts & HDD Caddy/Tray. 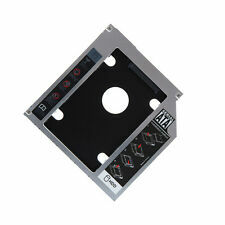 Simply pull out your CD/DVD drive and replace it with our optical bay hard drive caddy. This caddy accepts 2.5" SATA (Serial ATA) HDD only. ThinkPad T400 T400s T500 T410 T410s T410i T410si T420s T420si T430s T430si W500 and X200 X201 X220 UltraBase (doesn't fit 12.7mm-high T420 and T430). Laptop Hard Drive Cover Caddy. This Serial ATA Hard Drive Adapter lets you add a second hard drive to the laptop systems. For Dell M6400 M6500 M4700 M6600 M4800 M6800. 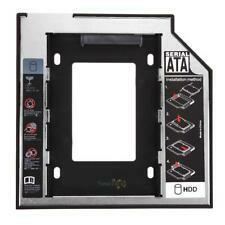 This Serial ATA Hard Drive Adapter lets you add a second hard drive to the laptop systems. Add this caddy to your laptop to give you another hard drive. Trending at $7.12eBay determines this price through a machine learned model of the product's sale prices within the last 90 days. Dell Latitude E5430 E5510 E5530. Laptop Hard Drive Cover Caddy. Simply pull out your CD/DVD drive and replace it with our optical bay hard drive caddy. Laptop Keyboard. This caddy accepts 2.5" SATA (Serial ATA) HDD only. The SATA to SATA Caddy / Adapter is For Laptop / Notebook which uses 9.5mm thick / high Optical Driver with SATA(Serial ATA) connector / interface. And works with 2.5" / 9.5mm SATA(Serial ATA) HDD( Hard Disk Drive ), and SSD( Solid State Drive ) as well. Apple MacBook Pro A1322 A1342. Laptop Hard Drive Cover Caddy. Server Parts & HDD Caddy/Tray. 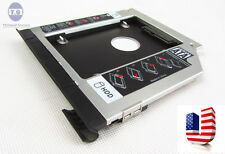 Simply pull out your CD/DVD drive and replace it with our optical bay hard drive caddy. Laptop Keyboard. This caddy accepts 2.5" SATA (Serial ATA) HDD only. HP Elitebook 8560w / 9570w /8760w / 8770w. 2ND Hard Disk Drive HDD Caddy/adapter DVD drive with SATA connector to the motherboard. It work with SATA Hard drive, and SSD (Solid State Drive) as well. 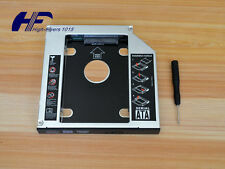 This adapter accept 2.5" SATA HDD or SSD. Easy installation Maximizes storage flexibility Interface: Serial ATA Dimensions: 5" L 5.2" W 0.35" H (9.5mm Thick) In the age of digital downloads, don't let your CD/DVD drive slot go to waste! This SATA optical bay hard drive caddy allows you to replace your CD/DVD drive with a second SATA hard drive or solid state drive, instantly adding more storage space to your laptop. Works with any laptop that has a 9.5mm optical bay slot. HP ZBook 15, ZBook 17. Laptop Hard Drive Cover Caddy. Server Parts & HDD Caddy/Tray. Simply pull out your CD/DVD drive and replace it with our optical bay hard drive caddy. This caddy accepts 2.5" SATA (Serial ATA) HDD only. DELL Inspiron 15R SE 7520 N5010 N5110 M5010. Laptop Hard Drive Cover Caddy. Simply pull out your CD/DVD drive and replace it with our optical bay hard drive caddy. Laptop Keyboard. Swapping the ad-ons and faceplate from your original DVD Drive maybe required. HP Elitebook 8460p 8470p 8560p 8570p 8760p. Laptop Hard Drive Cover Caddy. Server Parts & HDD Caddy/Tray. This caddy accepts 2.5" SATA (Serial ATA) HDD only. Simply pull out your CD/DVD drive and replace it with our optical bay hard drive caddy. Dell Inspiron 15R 5521 5537 15 5555 5559. Add this caddy to your laptop to give you another hard drive. 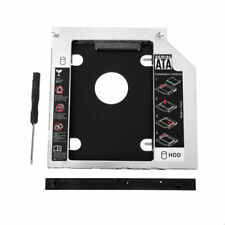 This 2nd SATA Hard Drive Adapter lets you add a second hard drive to the laptop systems. 1x Hard Drive Adapter/caddy.